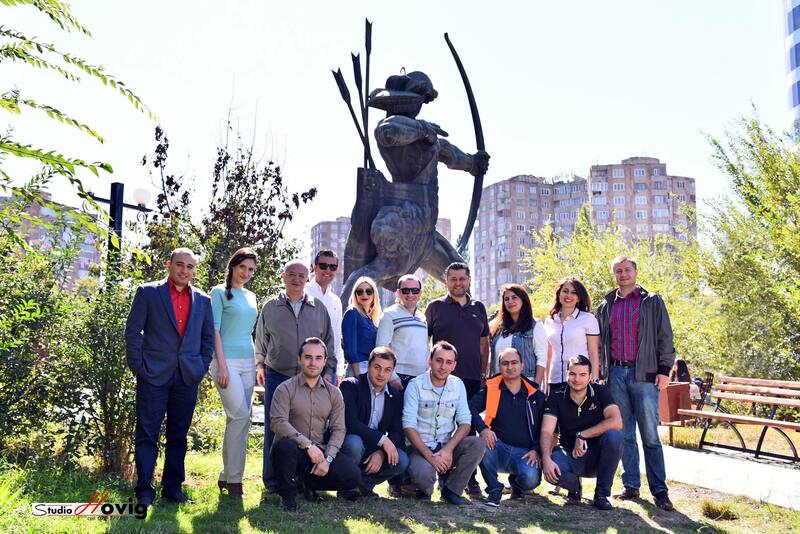 PMI Armenia Chapter was formed in 2016 and is the local Chapter of the Project Management Institute (PMI). The Project Management Institute is the world's leading not-for-profit professional membership association for the project, program and portfolio management profession. Founded in 1969, PMI delivers value for more than 2.9 million professionals working in nearly every country in the world through global advocacy, collaboration, education and research. PMI advances careers, improves organizational success and further matures the profession of project management through its globally recognized standards, certifications, resources, tools, academic research, publications, professional development courses, networking opportunities and collaborative chapters and communities of practice. When organizations invest in project management, supported by PMI, executives have confidence their important initiatives deliver expected results, greater business value and competitive advantage. To be recognized as the top professional organization and resource of choice for project management in Armenia. To support the growth and development of project management practitioners; as well as build awareness of the project management discipline and its critical role in business and organization success. 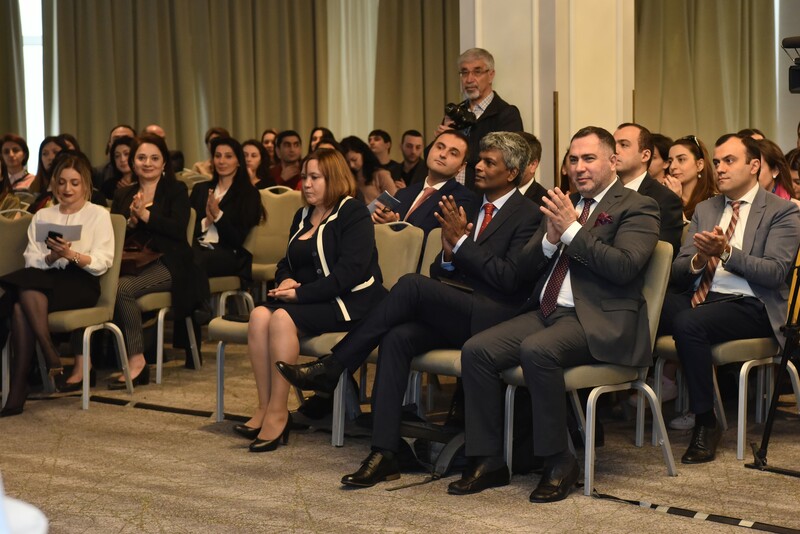 PMI Armenia Chapter will offer many benefits, including exposure to world class speakers, meaningful networking opportunities and options to support professional certification. 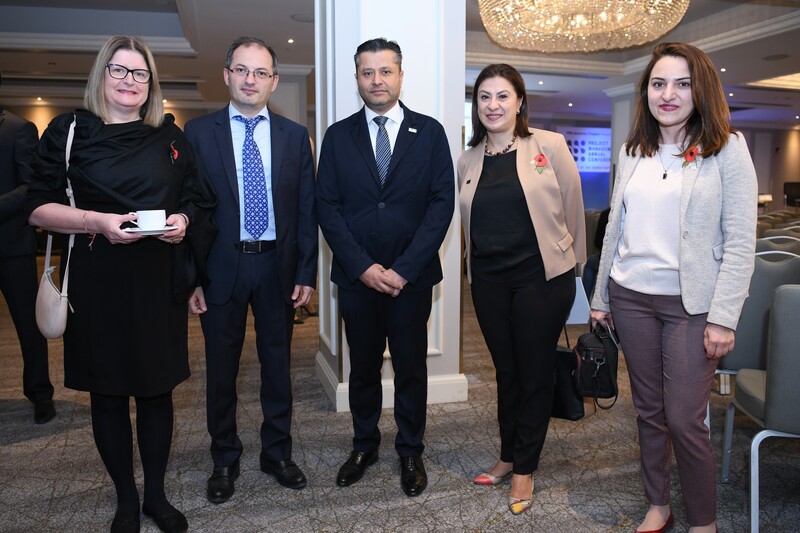 On 07-February-2019 PMI Armenia Chapter organized a meeting exclusive to its members at the "The Club" restaurant. The main objective of the meeting is to report the chapter's achievements of 2018 and to listen the concerns of the members. The meeting started with the welcome message of the PMI Armenia Chapter founder and president Mr. Thomas Mazejian. Mr. Mazejian presented the chapter's achievements of of 2018 and introduced the PMI Armenia Chapter board members. This followed an open dialogue and discussion between the chapter members and the board members. This was an excellent opportunity for the members to voice their opinions and share their ideas of how to improve the PMI Armenia Chapter. On December 12, Russian-Armenian University (RAU) and Project Management Institute (PMI) Armenia Chapter signed a Memorandum of Understanding (MOU) with the aim to promote awareness, interest and enthusiasm on project management to RAU students. The major thrust of the MoU is to promote mutually beneficial cooperation between RAU and PMI Armenia Chapter. The MoU aims to promote experience in sharing and networking among students and project management professionals through seminars and networking events, as well as creating internship and job opportunities for students. 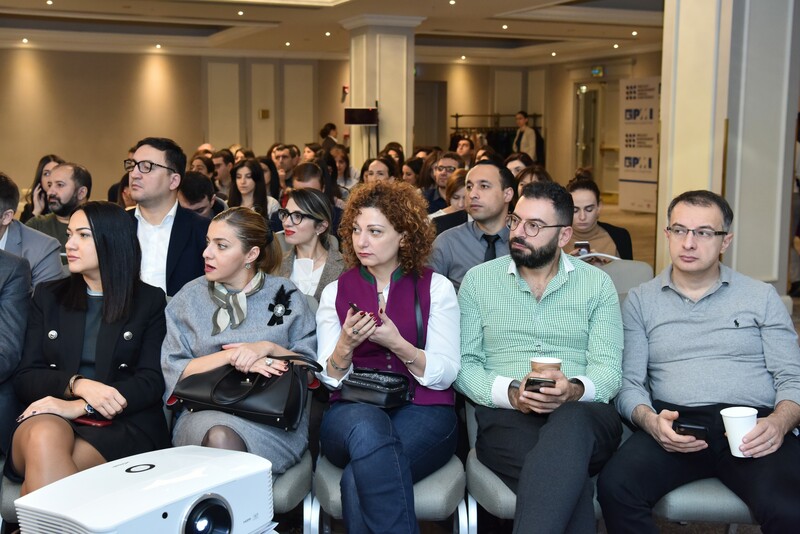 “One of the key strategic directions of PMI Armenia Chapter is reaching out to the academia and creating a platform where students can be part of the project management community in Armenia. We strongly believe that project management plays an important role in the development of Armenia. We are looking forward to improve and enhance our collaboration with RAU”, explained Mr. Thomas Mazejian, PMI Armenia Chapter Founder and President. PMI Armenia Chapter has additionally launched the Membership Ambassador Program (MAP). Its goal is to help assimilate new members and to ensure that each new member receives the most value possible from their PMI Armenia Chapter membership. The ambassador is a representative at the chapter level that serves as a liaison between university students and the chapter. “I welcome the initiative of PMI Armenia Chapter. We have exchanged some ideas on how we can foster our relationship by sharing experience and strategies to boost the project management practices. Project management plays an extremely important role in organizations, and the aim of Russian-Armenian University, as one of the leading universities in Armenia, is to ensure that students are well-exposed to the latest project management trends and practices”, highlighted Professor Armen Darbinyan, RAU Rector. On 28-Nov-2018 PMI Armenia Chapter board members appointed Sona Matinyan VP of Volunteers. Mrs. Sona Matinyan has more than 8 years of experience in project management with PMP (Project Management Professional) credentials. She has a vast experience in organizing events such as international competitions, festivals, conferences, educational projects, large scale concerts, professional workshops and masterclasses. "I strongly believe that Mrs. Matinyan will bring enormous value to the chapter taking into consideration her experience and knowledge in managing event projects and working with volunteers. She will be taking the chapter to another level by attracting new volunteers especially the young generation, which is mandatory to the growth of PMI Armenia Chapter and project management profession" stated Mr. Thomas Mazejian the founder and president of PMI Armenia Chapter. "Volunteerism is one of the fundamental PMI values and simultaneously it serves as one of the most effective tools to spread awareness and insure the engagement of young generation in the PMI activities. My initial steps as a board member will be targeted on establishing effective volunteer partnerships with organizations.” stated Sona Matinyan, VP of Volunteers. 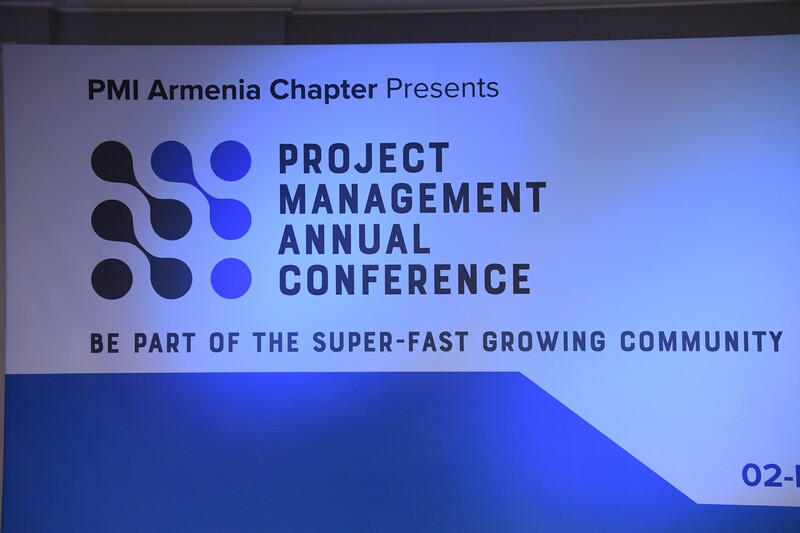 On 02-Nov-2018 PMI Armenia Chapter organized a unique event which was the first inaugural "Project Management Annual Conference 2018" at the Marriott Armenia Hotel. “This Conference is another proof of the new breath of young Armenia. I am convinced that such events will have their practical continuation. 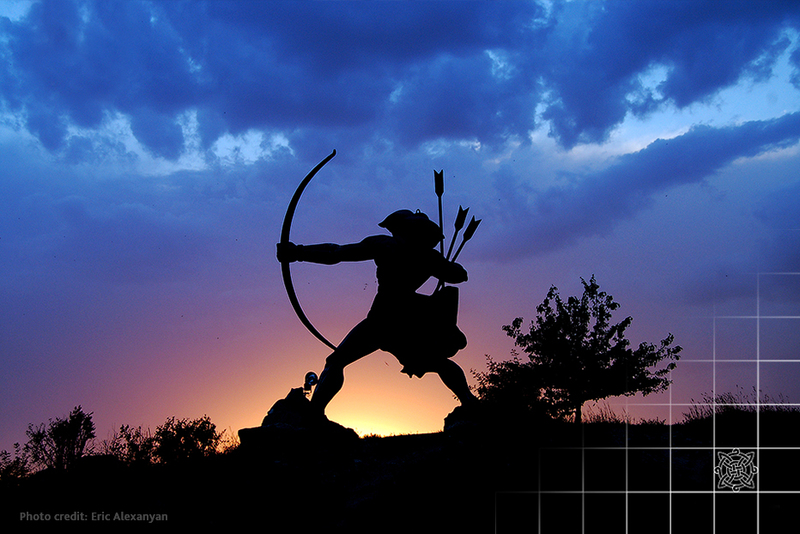 Such events prove that they will be constantly held in the Republic of Armenia. Our citizens, as well as all those who have a wish will have a chance to participate in conferences, as well as training and to receive qualification. At this era of rapid and constant changes it is important to move forward in accordance with the time. You need to be able to adapt to innovations in your activity fields. In the contemporary world it is necessary to be constantly informed and not to stop learning. Every knowledge-based event enables to rise by one degree in the professional scale”. The event was attended by more than 300 professionals from different domains who were excited and eager to improve their knowledge and skills in project management. The second part of the conference included workshops with speakers from United Kingdom, Poland, Russia and Qatar. The workshop topics were related to projects in transportation, leadership, team building, transformation projects, emotional intelligence, and agile project management. On 04-Aug-2018 PMI Armenia Chapter founder and president Mr. Thomas Mazejian was invited to make a presentation about the Chapter for the PMP Exam Preparatory Course students at the American University of Armenia. Mr. Mazejian talked about the establishment process, as well as the future plans of the Chapter. Various topics were discussed with the course participants, in particular, the benefits of the PMI and Chapter memberships, participation in Chapter activities, volunteering opportunities, experience sharing seminars and others. 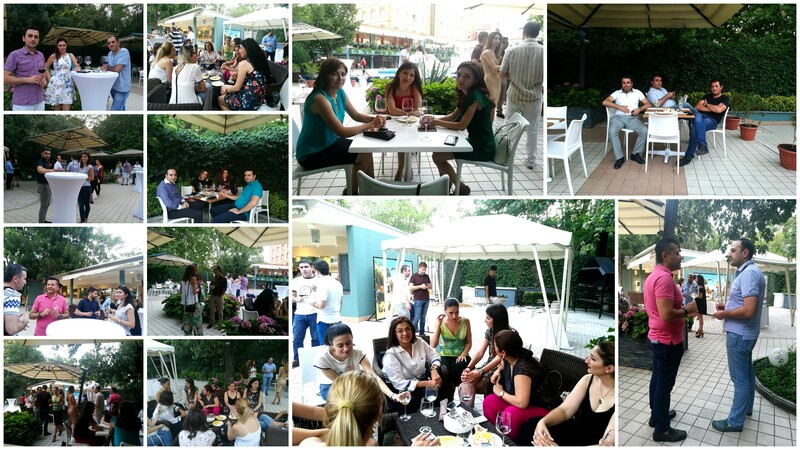 On 21-July-2018 PMI Armenia Chapter has organized a 2nd poolside networking event at the Congress Hotel. More than 50 project management professionals from different domains networked, while enjoying cheese and wine near the swimming pool.
" Good things happen when you get involved with PMI ! " This event was sponsored by Armenia Wine. On 03-July-2018 PMI Armenia Chapter has organized a seminar at the BURO. The title of the seminar was "Overcoming project blockers in financial institutions" presented by Avetis Ovakimyan, PMP. The aim of the monthly seminar program is to share project management experiences between different domains and companies. Moreover it provides a great opportunity for the Armenian professionals to network and interact with each other. The seminar discussed the main obstacles that project manager in financial institutions encounters during business process and ways to eliminate obstacles peculiar to functional organizations. At the end of the presentation there was a mini reception during which cakes and juices were offered by the host BURO. This event was sponsored by Ericsson. On June 19, 2018, a Memorandum of Understanding (MoU) was signed between the Project Management Institute’s (PMI) Armenia Chapter and the American University of Armenia (AUA) with the aim to promote awareness, interest and enthusiasm on project management to AUA students and alumni through AUA Extension. With the MoU, a mutually beneficial cooperation will be established through jointly organized programs, such as internships, seminars, networking events, as well as trainings of trainers (TOT). “We have now over 120 chapter members, so basically we are forming this project management community in Armenia so that we can share experiences and network together. 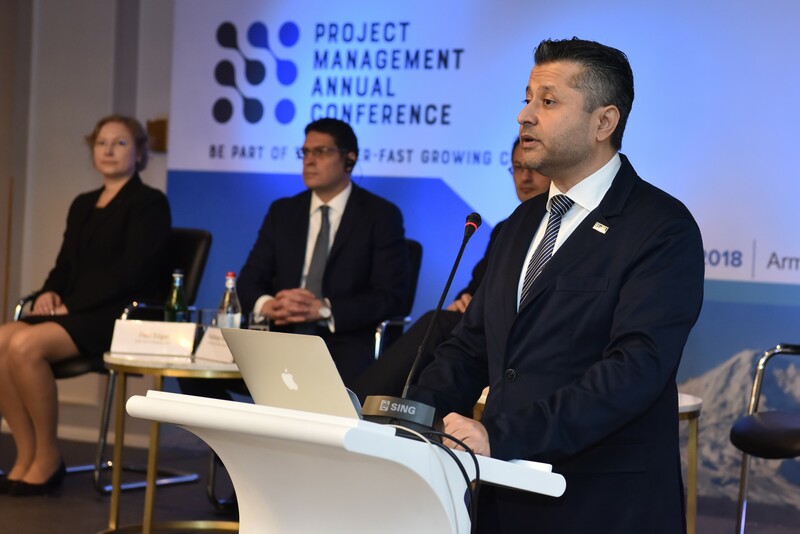 The objective of PMI Armenia Chapter is to increase the awareness of project management throughout the country in such organizations that have never seen the importance of project management. We want to make big changes in Armenia,” said Thomas Mazejian, PMI Armenia Chapter Founder and President. On 03-July-2018 PMI Armenia Chapter has organized a seminar at the BURO. The title of the seminar was "Writing a Grant Project Proposal" presented by Margarit Marukyan, PMP. The seminar discussed the DO's and DONTs when writing a grant project proposal and how to avoid common mistakes. Copyright © 2019 PMI Armenia Chapter. All Rights Reserved. Designed by ProteonSoftware.com.